It was in 1860 in the sumptuous Tuscan mansion of the Medici family that the story of Acqua Panna natural mineral water began. This natural mineral water flows from a spring below the Villa Panna 37 kilometres from Florence, and it was the then owner Marquis Torrigiani who decided to market amphorae of Acqua Panna natural mineral water and have them delivered to Florence. Villa Panna natural mineral water flows into a natural environment that has been jealously protected for five centuries, and is bottled direct from the spring with no chemical treatment whatsoever. Very subtly salted and with low mineral content, Acqua Panna natural mineral water has a unique taste that celebrates and enhances the flavours of the finest wines and dishes. Wearing a Bragard chef jacket is about asserting your image and demonstrating the depth of your commitment, beginning with perfection. Chefs share the Bragard values of respect, commitment, recognition and simplicity. Bragard has been the specialist in clothing for the profession since 1933, and designs comprehensive and varied collections for restaurant and hotel staff, fine food professionals and health care professionals, from chef jackets to front-of-house suits, and from tunics to aprons. This diversity of ranges enables Bragard to meet every one of your many requirements, and provide every item of clothing for your staff. Bridor produces a full range of indulgent bakery and patisserie products that perfectly embodies the French art of living and entertaining : elegance, refinement, flavours, pleasure, friendliness and sharing. Bridor creates the most beautiful bakery product collection dedicated to professionals. They are made in Brittany by highly qualified teams that respect artisan bakery techniques such as slow kneading, stress-free dough preparation, gentle lamination, long rest for the dough, use of homemade sourdoughs. The Bridor quality is the result of more than 20 years of close collaboration with artisan Meilleurs Ouvriers de France. Consulted from the creation of our recipes, they are the best guarantee of the excellence we defend and share with you. More than a signature, these words tell the story of our family, our firm, Mauviel 1830. We are the relay, the link. Guardians of previous generations, we have a duty to transmit this heritage that we carry and cherish. We rely on our great heritage, we retain the charm and identity of a rich family home with a superb know-how we turn towards modernity thanks to a simple, technical and visionary approach, tailored to the demands of professionals and food lovers. Our reason for living, is based on the transmission and sharing our expertise. Valerie Le Guern Gilbert Few know the first name of this designer of genius, Ernest Mauviel, however, the products manufactured in his traditional workshop, founded in 1830, are well-known, the world over. His descendants have inherited his great passion. Seven generations separate Ernest, the Founder, at the start of this great adventure, to Valérie, today. The factory produces thousands of high-end products for professionals and domestic. The products quality conquered many countries. Moët & Chandon, Krug, Veuve Clicquot, Hennessy and Château d’Yquem are just some of the world-renowned LVMH wines and spirits brands that have become synonymous with the most prestigious origins and terroirs. Located in Champagne, Bordeaux, and other illustrious wine-growing regions, many of these are centuries-old Houses with a unique character, which share a strong culture of excellence. Overseen by Moët Hennessy, these exceptional champagnes, wines and spirits from around the world come together as a collection of rare brands where heritage and innovation, authenticity and creativity converge. Located in the heart of Paris, Kaviari have been a reference in caviar’s world for 40 years. Mindful of ensuring the sustainability of the age-old art of caviar production, this independent artisanal firm works today with the best fish farms accross the world. Skilled Kaviari staff members join forces with the fish farmers, and follow each step of the production process. This allows the selection of the roes ment to be cured in our laboratories directly from its origins. It is this strict transparency and the passion for the metier wich contribute to Kaviari’s international notoriety among chefs and gourmets. Synonymous worldwide with the Italian lifestyle, S.Pellegrino is a natural mineral water enjoyed for its delicate lively taste, which provides the perfect accompaniment to finest of fine-dining dishes. S.Pellegrino is not just a simple sparkling natural mineral water. Symbolising an exceptional level of sophistication, the water branded with the iconic star has rapidly established itself as one of the stars of fine dining. As the uncontested chocolate of choice for leading chocolatiers and pâtissiers, the superior quality of Valrhona chocolate begins with the uncompromising selection of the best cocoa beans. The French chocolate firm of Valrhona has been supplying top chefs and artisans since 1922. Selected by the best master pâtissiers and chocolatiers worldwide for its extensive flavour palate, which is continually updated with innovative new additions, Valrhona is committed to the ambition of promoting gastronomic pleasure and fulfilment. As part of its policy of dialogue and ethical behaviour, Valrhona engages in long-term joint development relationships with cocoa planters and leading chefs. Everything starts with Michel Chapoutier and his singular, out-of-the-box, all-embracing, inquisitive thinking. Michel’s is not a static spirit, but a living one. His quest is one of discovery and revelation of high-potential terroirs, how soils can express themselves, how each one can give that singular taste to each wine. A quest that is driven by daring: opening up to other horizons, other terroirs, whilst remaining a specialist of Rhone Valley grapes, the company’s true DNA. Creating encounters between tradition and modernity, dreaming up new forms of know-how, but always with the greatest possible respect… for the soil. Biodynamic farming is an essential component of his expertise. Today, it’s standard practice. 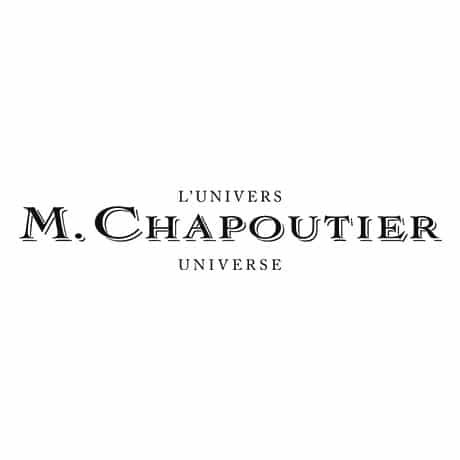 M. CHAPOUTIER’s teams work to perpetuate the revelation of terroirs… such is their starting point.